At 78.2° N latitude, high above the Arctic Circle, on the island cluster of Svalbard and Jan Mayen – home to 2,600 people, 3,000 polar bears, and 4,000 snowmobiles – lies the northernmost town in the world: Longyearbyen. 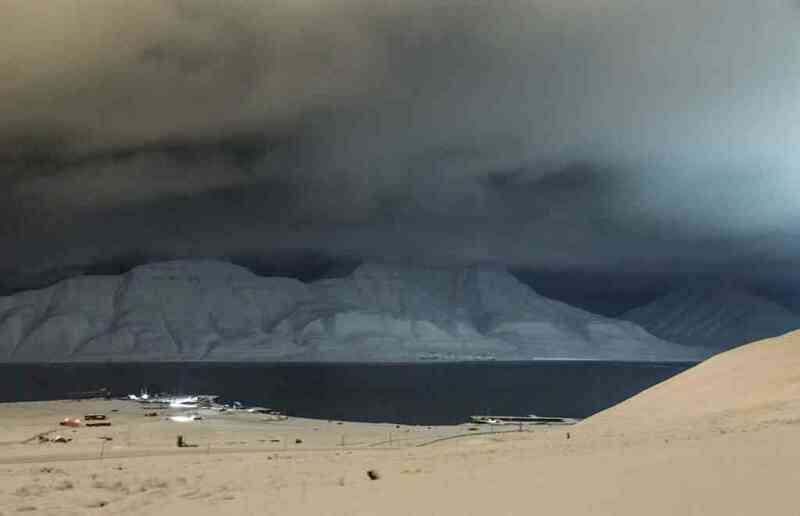 Note: My visit to Svalbard was covered and partly comped by Mary Ann’s Polarrigg and Spitsbergen Adventures; however, all opinions and viewpoints expressed in this post are, as always, my own. This post does contain some affiliate links, for which I will earn a small commission. If you don’t have time to read this post now and want to save it for later, Pin away! 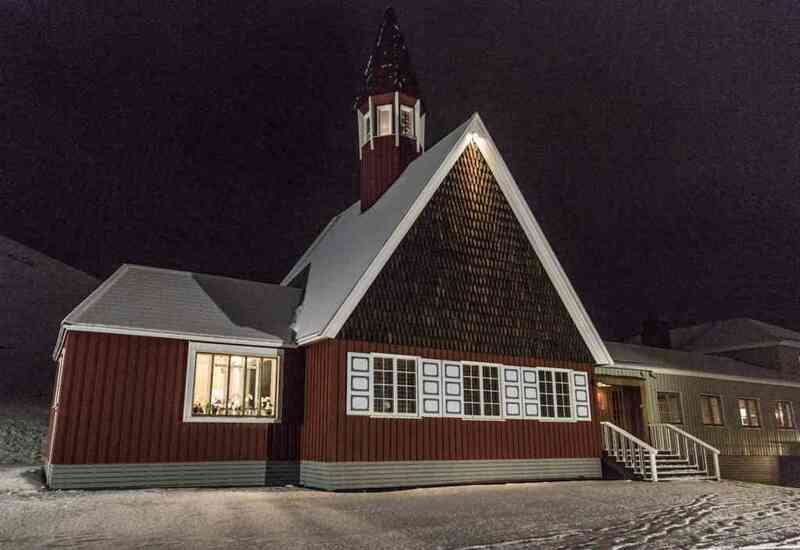 Some would argue that Ny-Ålesund is the true northernmost town, but as it is more of a research station than a city (and only 20 minutes north by plane), Longyearbyen is still the place that seems to have the distinction of “northernmost” pretty much everything in this world: coffee shops, churches, bars. The island of Spitsbergen has a landscape that varies throughout the year between winters of glowing white snow faintly lighting up the pitch black polar night, and summer views of towering mountains and deep blue fjords warmed up by the constant midnight sun. Devoid of trees or major vegetation, with polar bears roaming the countryside, and most of the island of Spitsbergen inaccessible by car, there is no question that Longyearbyen is a tough place to live. 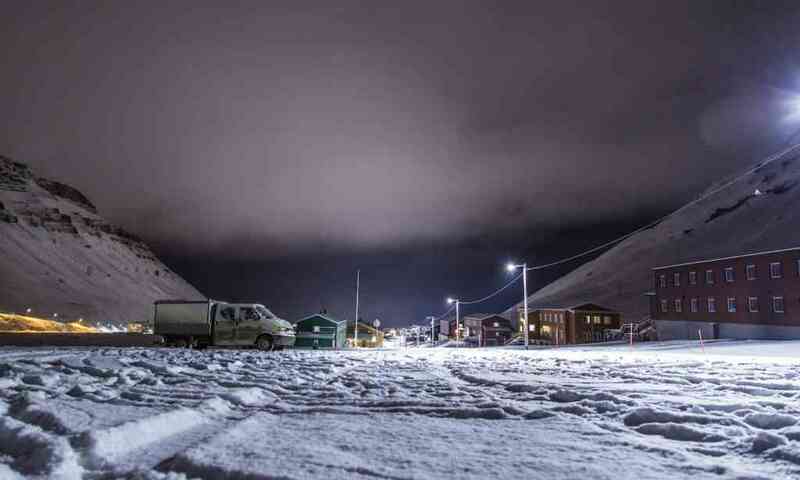 And yet among its population of 2,600 the island is home to over 40 nationalities, many of whom visited the place, caught what is popularly known as “Svalbard Fever”, and were overtaken by the desire to permanently move. Now, between summers in my home country of Greece and the rest of the year in my home in LA, I am unquestionably a sun and beach girl. 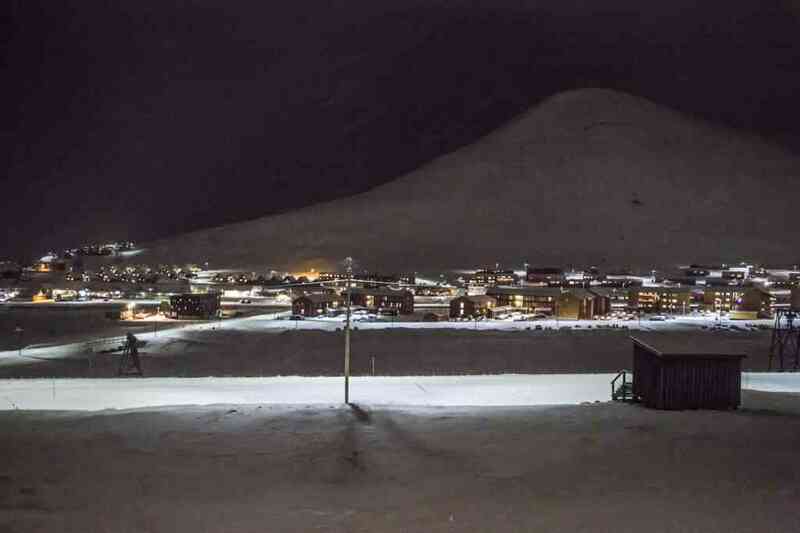 If there is someone on this planet who would be the most disinclined to fall in love with an Arctic settlement, it would be me – especially because I visited Longyearbyen in December, one of the most brutal months, weather-wise and transportation-wise, for the town. However, I became enchanted with this place almost at once. Even on the drive from the airport to the town, while passing the dark water of the fjord to my left with mountain silhouettes in the distance, and seeing the warm lights of the town rapidly approaching in front of me, I understood the magnetic impulse that had attracted people from Oslo, from Italy, from Brazil, from all over, to move to this quirky little town. 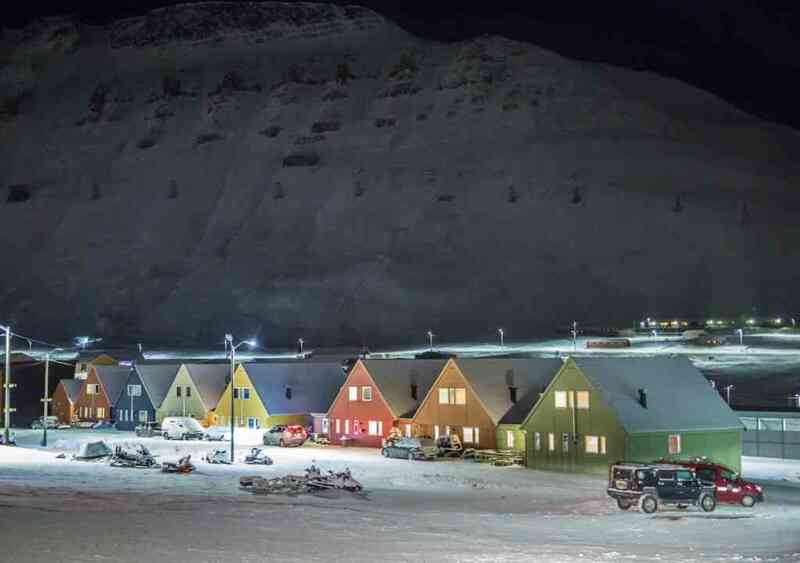 Longyearbyen started as a coal mining community, evident in the six defunct (and one active) mines that dot the mountains, as well as the collection of old miners’ houses and converted cabins that are spread out on the valley floor. 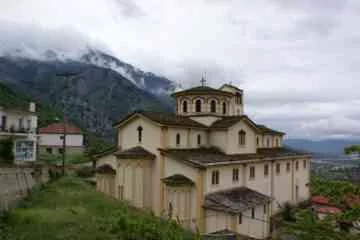 The island’s coal deposits are expected to run out in the next ten years, and since the price of coal has taken a nose dive in the past decades, most of the island’s population has already switched to science and tourism for jobs. 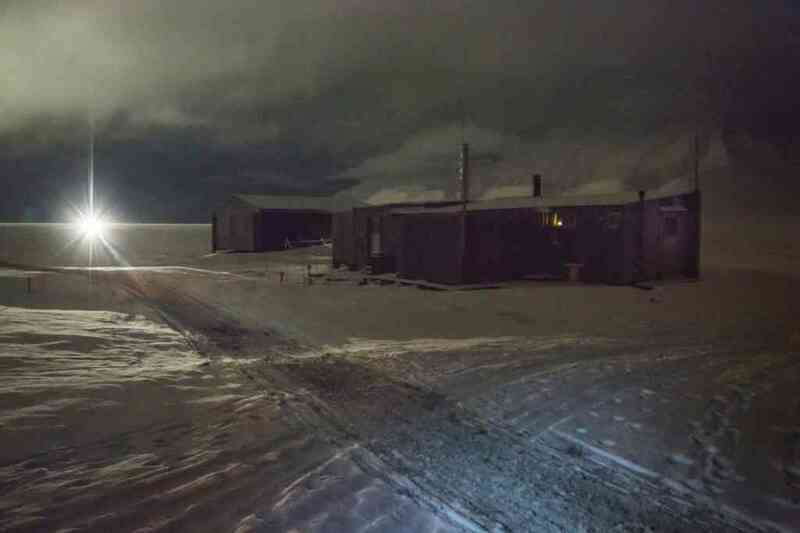 There is a small university branch focused on Arctic research on the island, not to mention the Global Seed Vault. 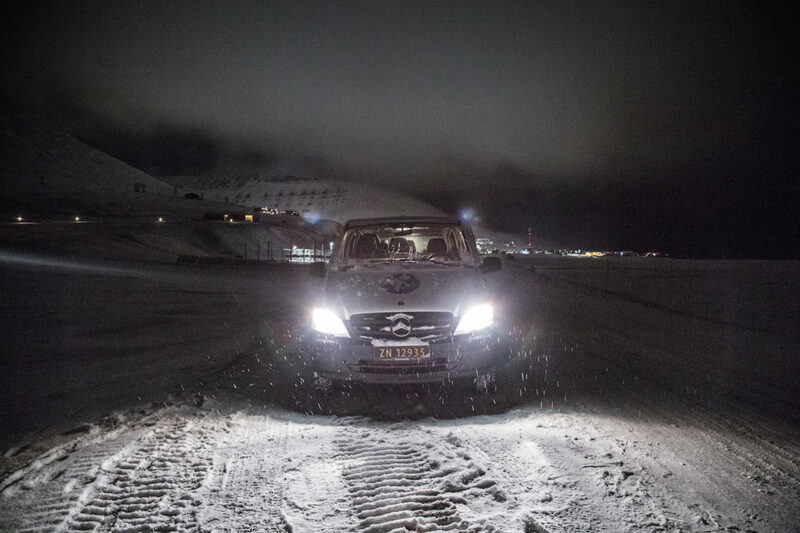 The Global Seed Vault houses around 900,000 seed varieties and has the capacity to house millions of seed species from all over the world. 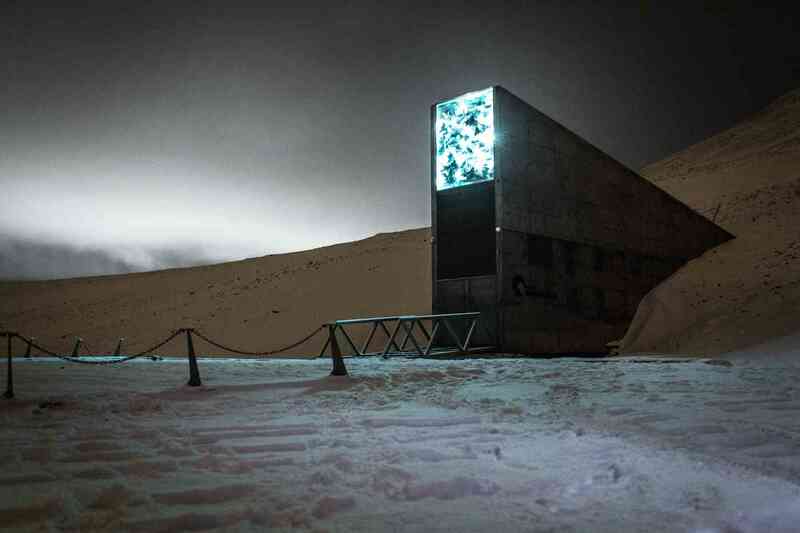 They are kept refrigerated deep under the permafrost of Svalbard, and in the case of a catastrophic event affecting one (or several) countries, the countries can ask for their deposited seeds back in order to jumpstart their agriculture. Syria has already requested certain seed varieties back after the destruction caused by their civil war. 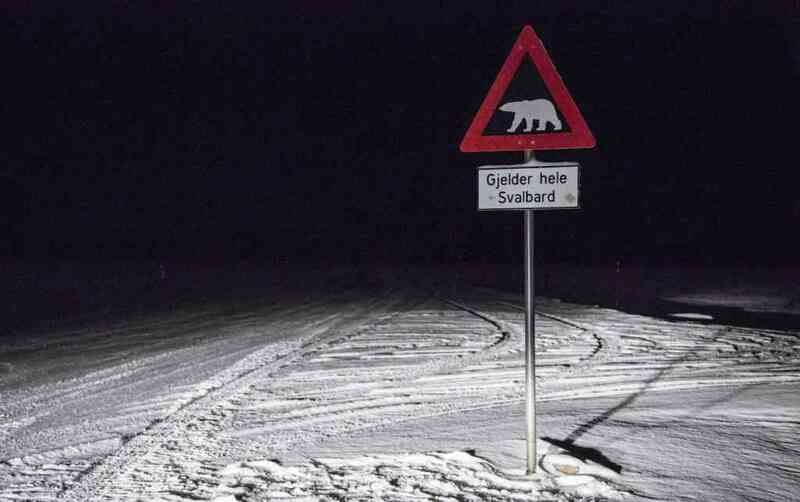 With only 50 km of road on the whole island, mostly within the town itself as well as between the town and the airport, Svalbard is not designed for those who want a sedentary life. If you want to move around, you’ll have to hike, snowmobile, and sail your way to the rest of the island. 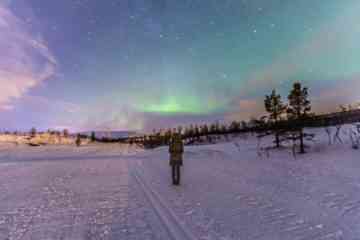 As far as wintertime activities, everything from dog sledding to aurora chasing is on the table, as well as snowmobiling later in the season (usually February to May) when the snow has become thick enough to protect the underlying plant species from the snowmobiles’ tread. Hikes to nearby ice caves and up the mountains are also popular, though proper gear and headlamps are required (some tours will give these out). 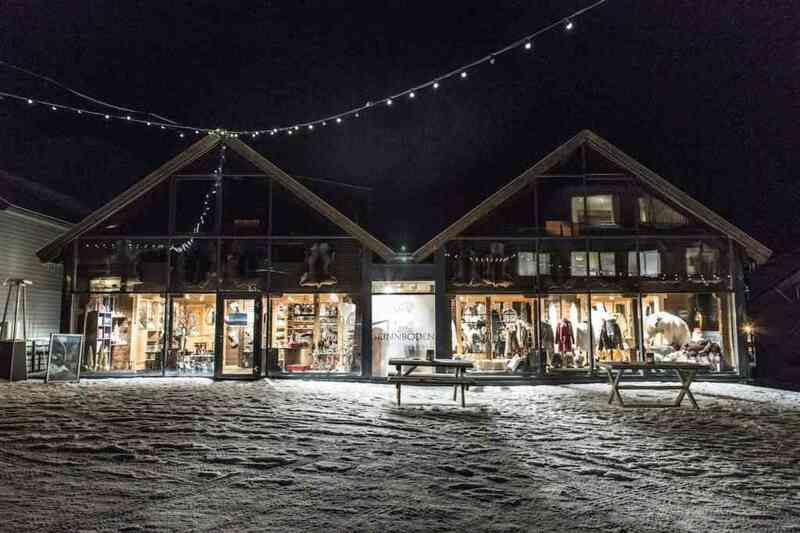 Otherwise, you can purchase specialized gear in one of the town’s many outdoor/gear stores. 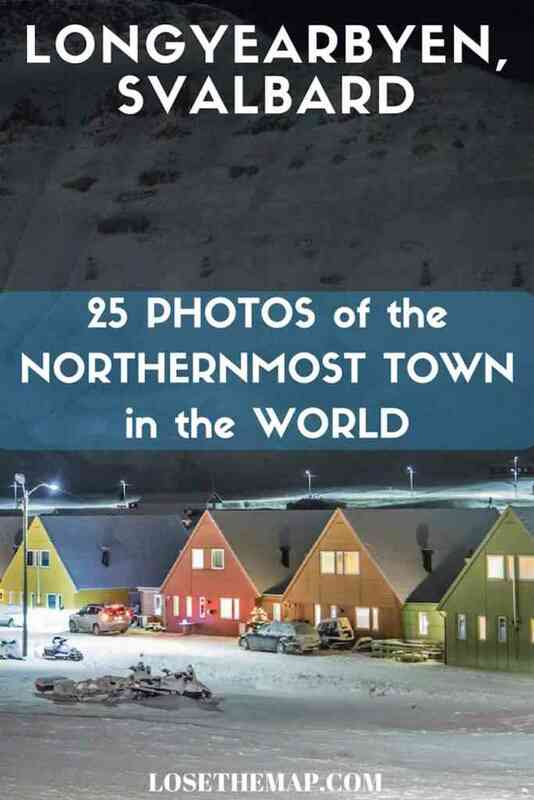 Local Tip: I would strongly recommend a guided photo tour to get a better understanding of the life and history of the town; after all, unless you have a polar bear gun, it is strictly prohibited for you to leave Longyearbyen town limits on your own, and getting around can be a challenge, so an (armed) tour guide is almost necessary for you to see some of the spots around town. You would think that there would be limited dining and drinking options in a small Arctic town, and yet you would be surprisingly wrong about this. 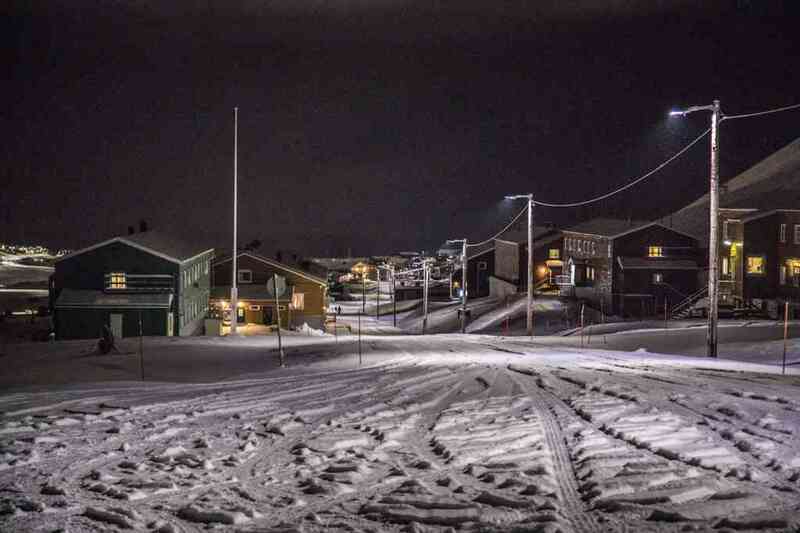 Fruene, the northernmost coffee shop in the world. 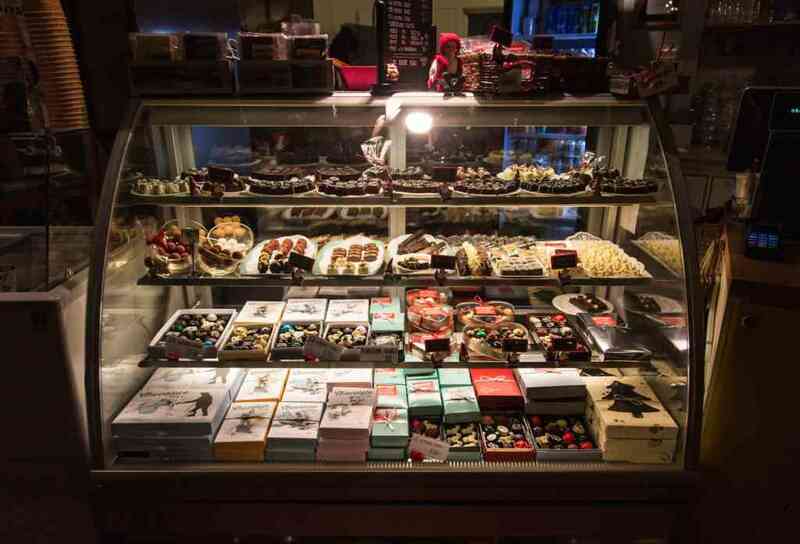 From the cute little coffee shop of Fruene, which has its own chocolaterie (seriously, look at the display below), to some truly delicious gourmet restaurants and vast wine and whiskey collections, there is no shortage of venues in which to drink and eat in Longyearbyen. 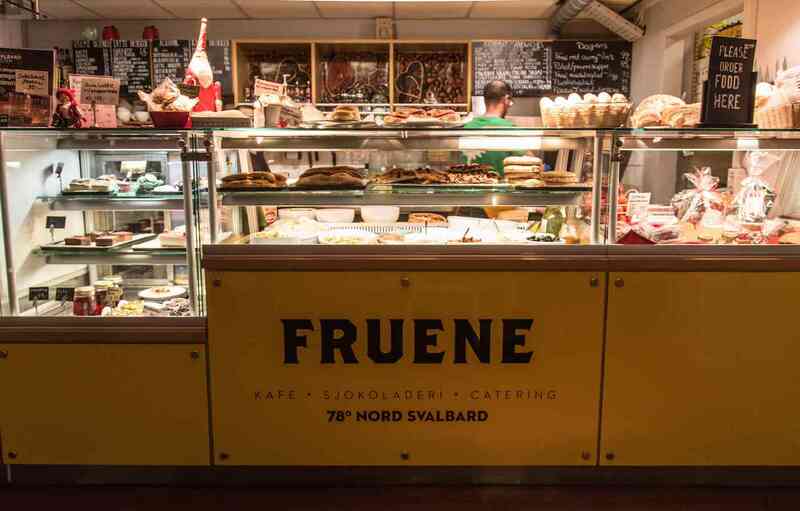 Local Tip: Locals tend to stop by Fruene in the morning and at noon, so if you pop in there at that time you will be sure to see plenty of Longyearbyen residents going about their routine. 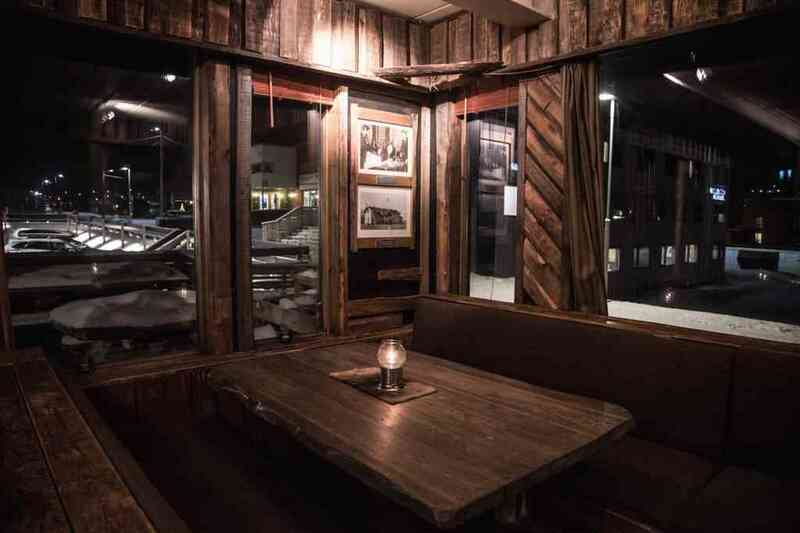 If you want to stop at a restaurant with a real cabin/Arctic feel, and plenty of such dishes on the menu, stop by Kroa and try their moose burger (also a local favorite). 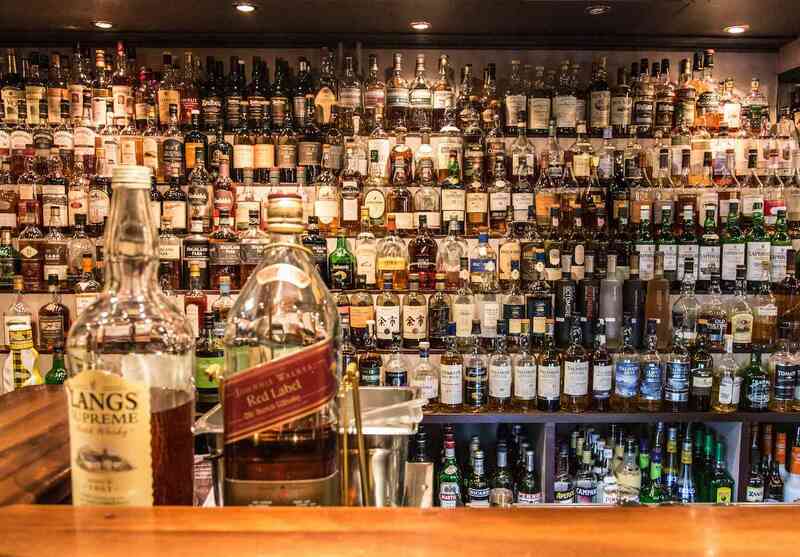 Another local spot seems to be the Karlsberger Pub, which boasts the largest collection of whiskey in Europe, as well as a huge collection of cognac, rum, and brandy to choose from; there are whiskies so expensive that if you want a sip of some, the manager of the bar needs to be called down to pour the bottle. 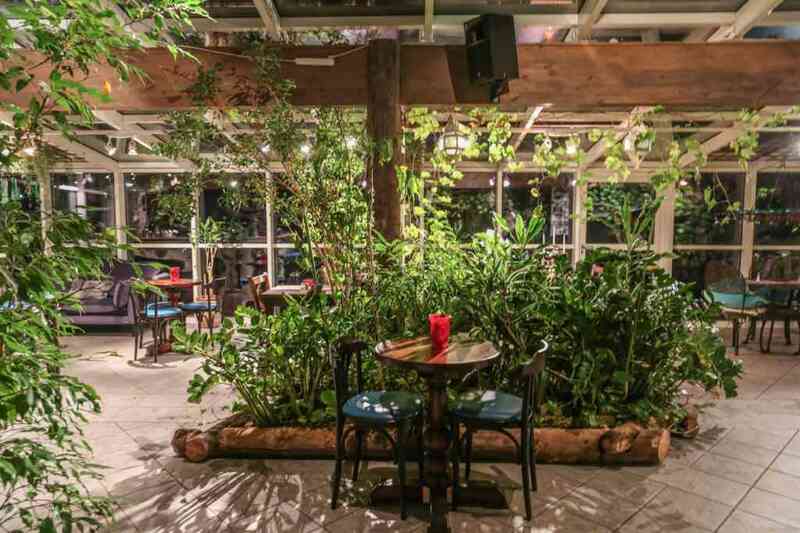 If you want to have a more elegant evening and combine an upscale dinner with a delicious wine, check out Huset, which has over 20,000 bottles of wine available. Bottom line: if you like your wine and dark liquor, Longyearbyen is actually a great place to be. There are a few hotels to choose from in town, but here I’m going to step in and very VERY strongly recommend the place that I called home while in town: Mary Ann’s Polarrigg. 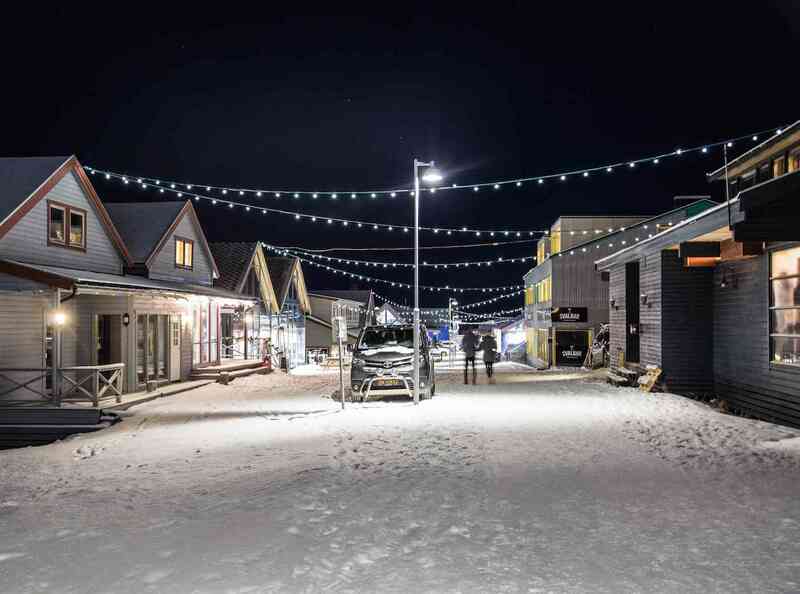 It gives you a good idea of the kind of community Longyearbyen is, when you walk into the front door of Mary Ann’s Polarrigg and the first person you see is…Mary Ann. Those of you who have been following my blog for a while know I like to either stay in Airbnbs or boutique hotels with a unique flavor. I’ll stay at chains when I must, but I always prefer a place with personality; and when it comes to personality, there is nothing in Longyearbyen that compares to Mary Ann’s Polarrigg. Mary Ann arrived in the mid-90s to stay for a couple of years and ended up buying some old miners’ barracks and converting them into a cozy hotel. It’s clear from the first moment you meet her that Mary Ann is a well-known character and formidable force in this town; it’s hard to imagine that a person who moves to Svalbard and not only survives, but thrives and establishes herself on this island for decades, could be anything else. 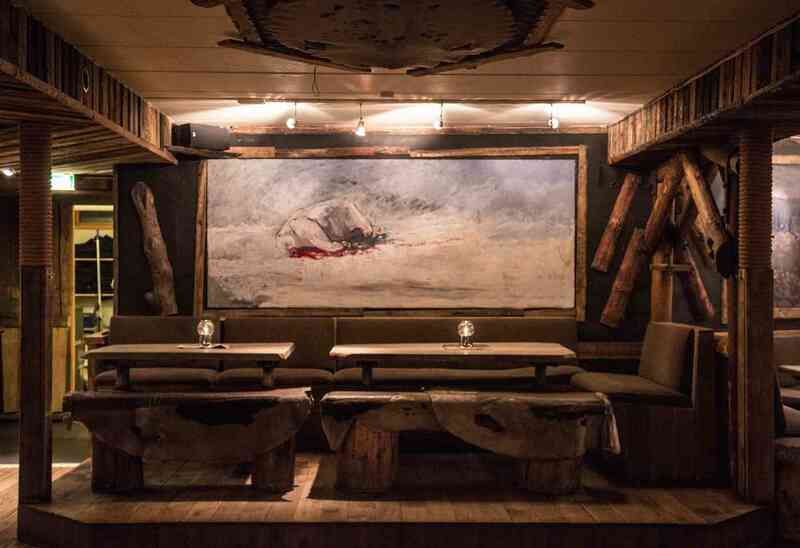 The hotel includes an incredible restaurant, which Mary Ann runs herself; it has floor to ceiling windows looking out into the stunning Svalbard landscape, and as Mary Ann will emphatically tell you, it serves only Arctic and Norwegian cuisine. 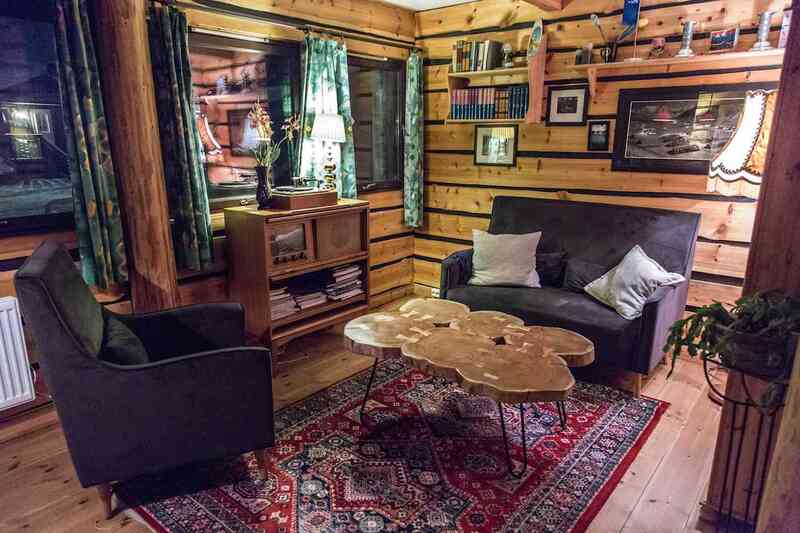 The rest of the hotel includes a cozy common seating area to lounge around, mingle with other guests, and watch TV; warm, cozy rooms to protect you from the dark Arctic nights; and even massages and spa treatments. The Polarrigg also seems to get plenty of return visitors, as the two men who checked in before me greeted Mary Ann like an old friend – it’s the perfect welcoming environment to retreat into after a day out in the polar cold. Days after returning from the island, I still find myself wanting to go back and explore more, understand more of the town and experience every inch of the Arctic wilderness around it. I am already mentally making plans to return to Svalbard for snowmobile season and summer, at some point in the future. Though I personally did not catch total Svalbard Fever, as I fully plan on returning to my apartment in LA when the holidays are done, it seems I came down with at least a low temperature when it comes to the island. 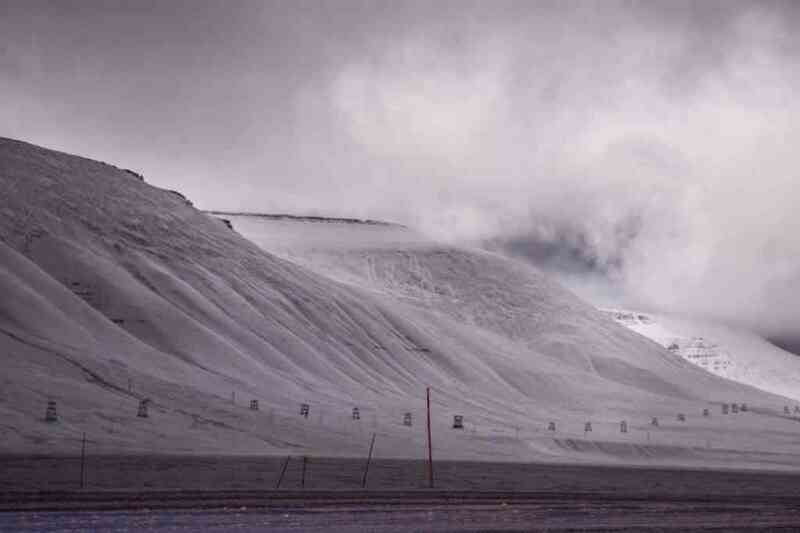 Take it from someone who was blown away by Longyearbyen and Svalbard both: be careful when you visit this remote polar world. 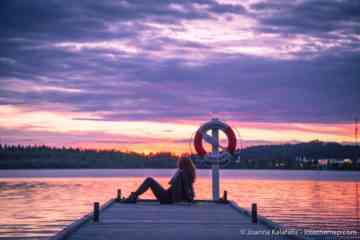 Not so much because you’ll be dealing with glaciers, polar bears, and cold, but because you might find yourself constantly longing to return. If you liked this post, Pin and share! 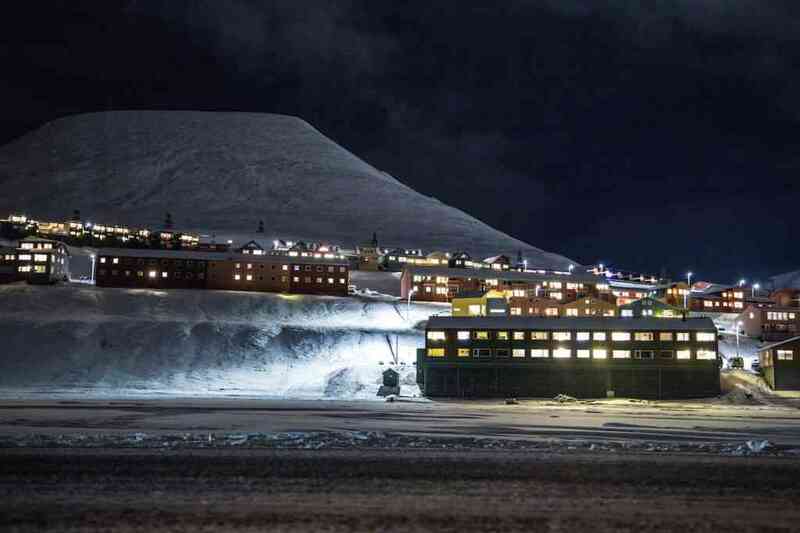 Want to Visit Longyearbyen, Svalbard Yourself? 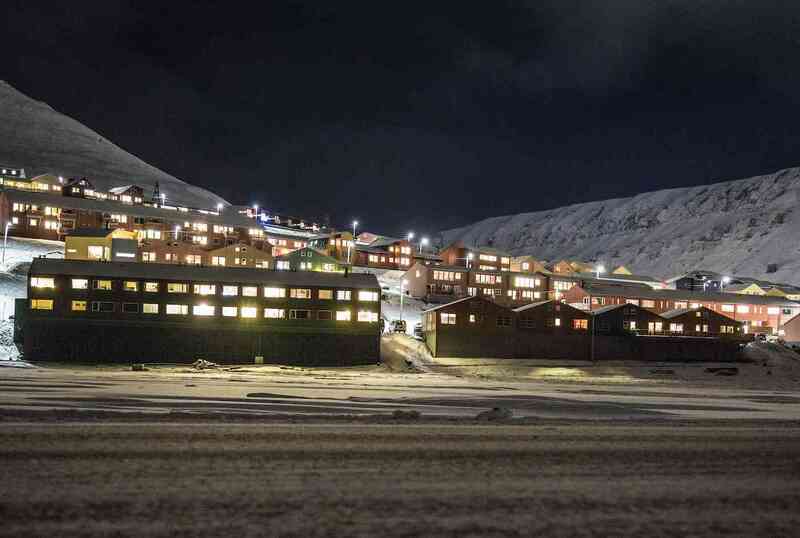 If you’re visiting Longyearbyen search and book some great Longyearbyen hotels here! Want to stay where I stayed? Book Mary-Ann’s Polarrigg! Incredible post & photos. Saw Svalbard while perusing Google Maps once and was always curious what life up there must be like. Thank you! It’s so fascinating up there! Even with so much plight involved, the town still manages to carry out all kind of activities is something amazing to know. 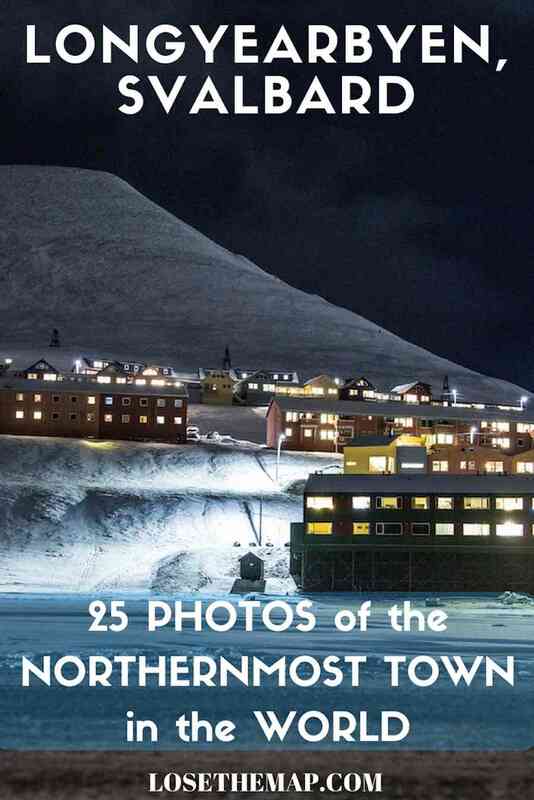 A very fine article about the northenmost town. 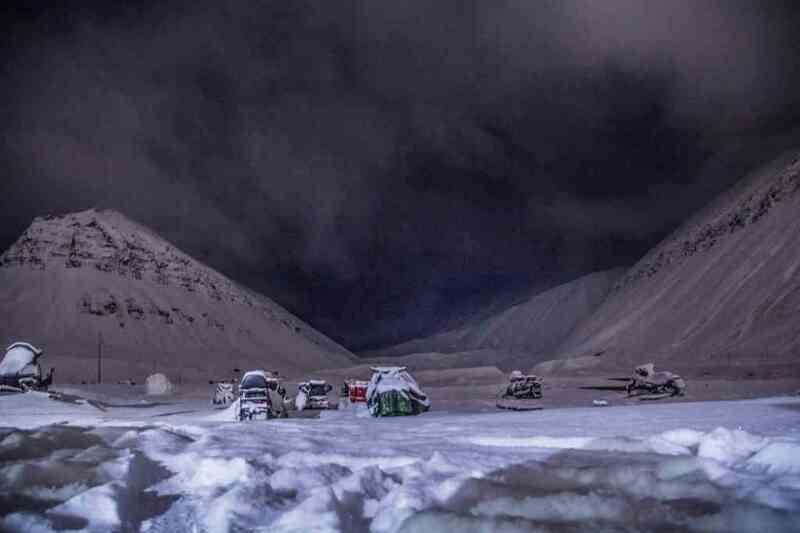 This post just makes me so excited for my upcoming trip to Svalbard in February! Amazing post ! did you see any polar Bears ? i mean close to you or walking around ? 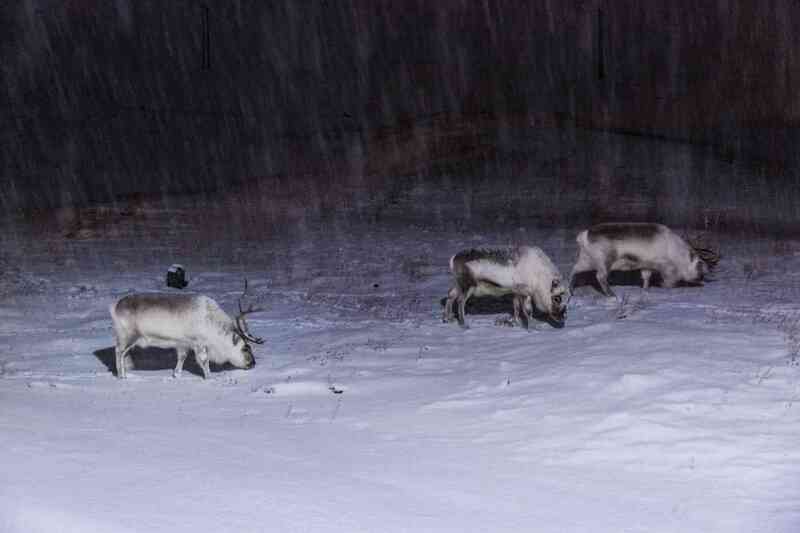 Nope, but in the winter they’re further out on the ice shelf feeding, not really too many around town! 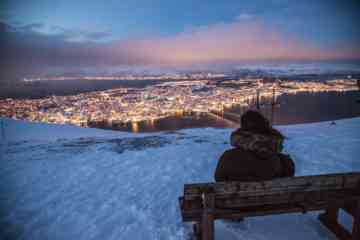 So excited to visit Svalbard and Longyearbyen between 15 and 18 Feb! You will have the best time!